Frostgrave has become a very popular game at COGS. Because of the limited number of models required and the ease with which models from other games can be brought in for extra service exploring the ruined city, members have found it easy to join in with the semi-regular Frostgrave nights. Watch out on the Facebook group for notices about specific Frostgrave game nights. 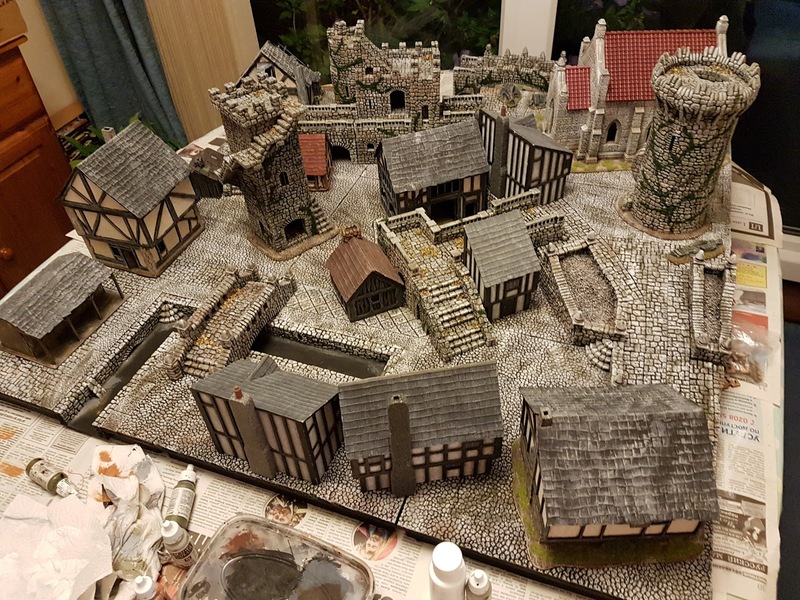 We now have easily enough terrain to put on 3 games on club nights and will be running demo/participation at two upcoming shows, Derby World Wargames and Fiasco. So if you can't get to a COGS meeting to play, bring a warband with you to either of those shows, or use one we will supply, and get a game on one of our tables. We'll also have a starter table set up for those new to the game. Of course, we also still play all the other games mentioned on this site... Kings of War, Flames of War, Dreadball, Deadzone, In Her Majesty's Name, Lion Rampant, Muskets and Tomahawks, Fighting Sail... as well as a huge range of boardgames and Roleplaying Games.